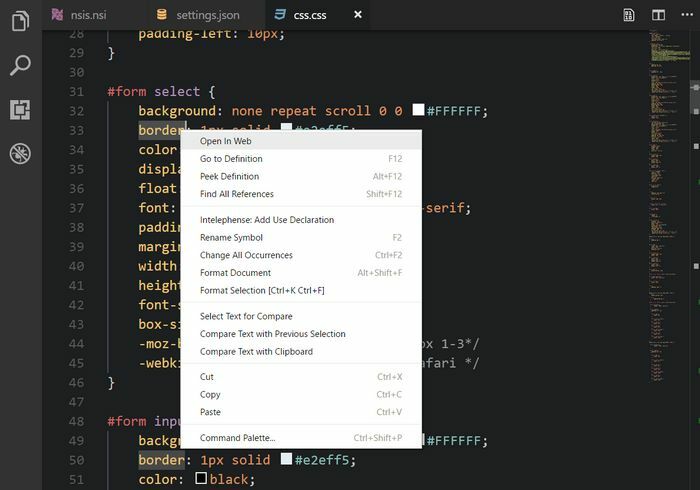 Visual Studio Code>Other>Open In WebNew to Visual Studio Code? Get it now. Open default browser and go to specified url containing selected text. This extension allows you to open the default browser and go to specified URL pattern, in which will be inserted selected text. Select some text in editor. Right-click on selection to show context menu. Select "Open In Web" option to open Google search for selection. 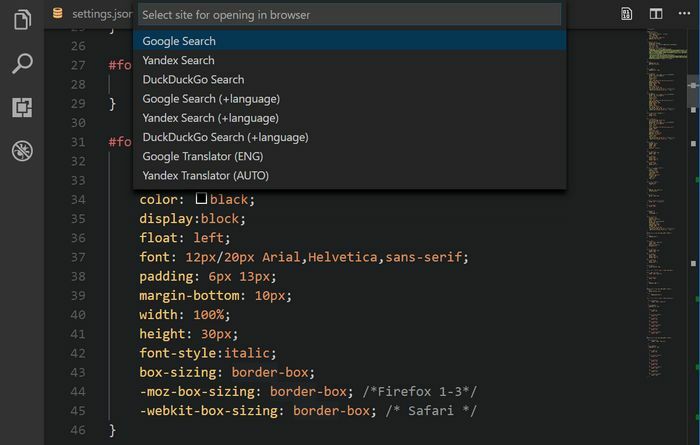 Open command palette and type "Open In Web". Select "Open In Web" command for quick open default url or "Open In Web: Choose url" command for choosing url from Web Action List. Define a keyboard shortcut for openInWeb.openInWeb command or openInWeb.openInWebActionList command. Press shortcut combination to open wanted url with selection. You can specify web sites which can be opened by extension. There're openInWeb.defaultAction property for default action template and openInWeb.actionList for Web Action List templates. If openInWeb.defaultAction property is empty, Web Action List will be opened instead of default url opening.